Gmail has custom themes and label colors to make certain emails really stand out. Outlook 2010 can do something similar with the inbox reading pane, and it adds even more fancy customization. Outlook doesn’t advertise it’s ability to customize fonts in the reading pane, but I find this to be one of the most helpful features for prioritizing mail. 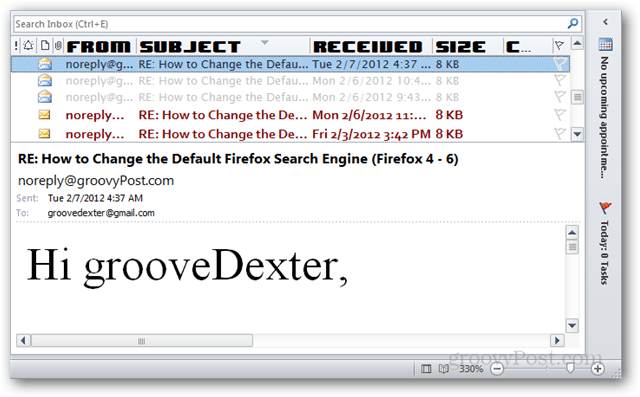 If you want to customize the font for email titles, row headings or the body of messages, here’s how. Open Outlook and go to the View ribbon. Click the View Settings button. Now you’ll see the Advanced View Settings window. 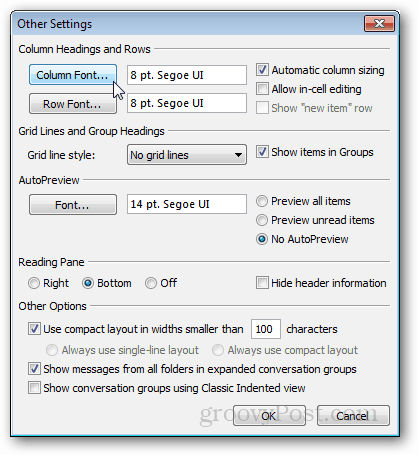 Here there are two buttons for customizing reading pane fonts: Other Settings and Conditional Formatting. First, I’ll start with Other Settings. Other settings is where we adjust the column headers for the reading pane. If you aren’t sure what those are, here’s a screenshot. At the top of the window we have two font settings, Column and Row. The row headings are only visible if you set the reading pane to the Right view. 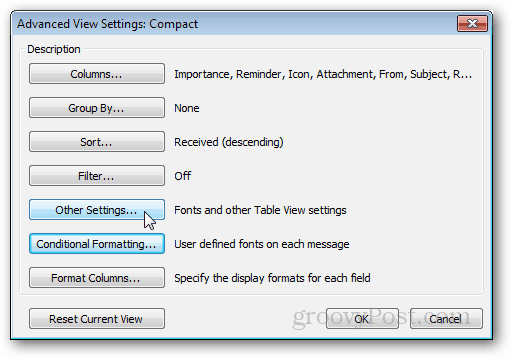 Each font customization is straight forward, just click which font you want and save by pressing OK. When you want to customize things based on conditions (i.e. rules) you can do so with conditional formatting view settings. By default there are already 6 view rules with custom fonts assigned to each. You can change these existing fonts, or add your own. For example, I added a new rule that makes the titles of mail I’ve already read be a different font than the rest. You can set as many rules as you like, and if they are specific enough you can make important emails stand out. And last but not least, to change the font of the body of a message you are reading there are three methods. 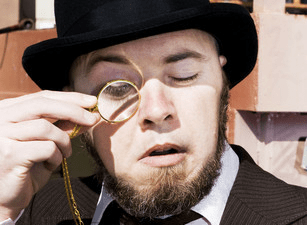 Click the zoom button at the bottom-right of the Outlook Window. Hold Ctrl and Scroll the Mousewheel Up or Down. Use the Zoom button when the message is opened in it’s own window. Thanks for the great post, Asutin. Do you or anyone in the community know fo a way to set the default zoom level for the reading pane (not an e-mail open in a window after double-clicking from the list)? I have many users complaining of the text in the reading pane being too small with our new 22″ 1920×1080 monitors. We can slide the zoom slider, click the zoom% button or CTRL+mouse-scroll and zoom the current e-mail in the reading pane but as soon as you choose a new e-mail from the list it goes back to 100%.